This Valentines Day we will be crafting and hosting for our friends. We have decided to dedicate this Valentines day to our children whom Cupid has blessed us with… And we’re spicing it up a bit to include their friends. 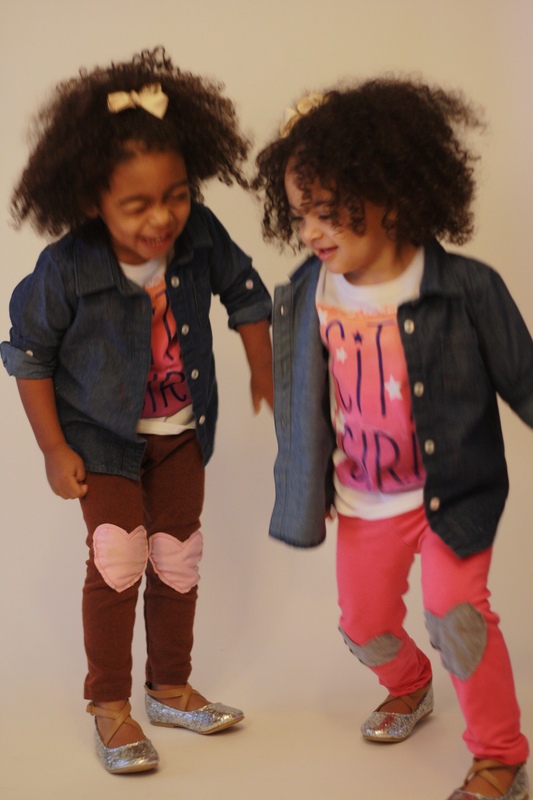 Vita and Kennedy are so excited to have their friends over for Valentines day! It is noticeable that at age 3 things matter SI much more to them. 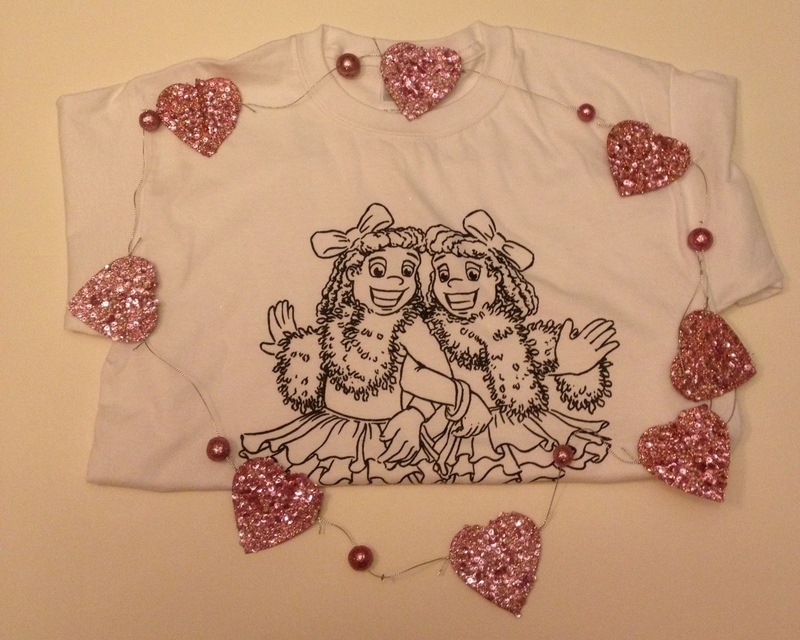 On our entertainment list there is: baking heart shaped cookies, crafting heart shaped garland, designing our twindollicious tshirts with heart felt, rhinestones and glue, creating heart shaped cards, while wearing our heart to heart shapes leggings. We are truly in for a love fest of fun! 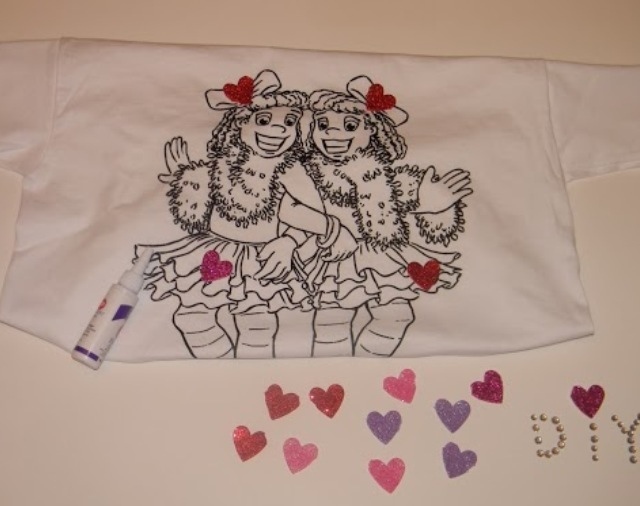 Twindollicious character t shirts are pre made while felt, rhinestone and fabric glue with a touch of washable markers will add a bit of style and color to the DIY shirt. 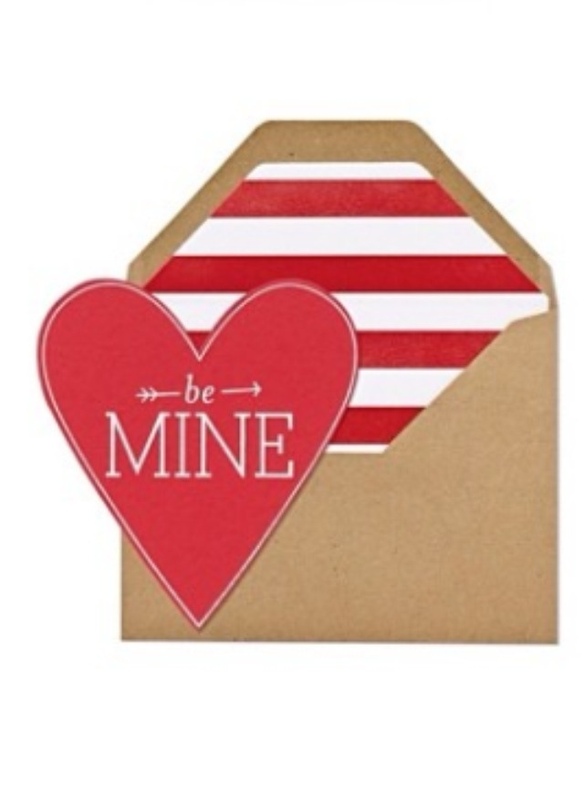 Cards: we’re using red and white striped paper and tissue paper for lining an envelope, red card stock paper and stencil letter to create love notes. Heart Garland: Felt with card stock paper on top, glitter, glue, string and a whole puncher come together to create a beautiful window, door or home garland. Heart to Heart leggings are made with love from our Twindollicious Collection.